I investigated fluoride in Tanzania for two reasons. First, because we tend to become curious about what we experience. Many of the people we met in East Africa visibly suffer from fluorosis (2,000 words). This is my second article for the Geology for Global Development blog, succeeding this article about landslides and agroforestry in Rwanda. You can find these and many more related to social geoscience, written by geoscientists and students, at the GfGD blog. The second reason has to do with GfGD itself. The organization came about after CEO Joel Gill saw groundwater projects being less effective than they could be. Sound geoscience concepts needed to be better integrated than they were in the pursuit of sound groundwater exploration and management. In the founding spirit of GfGD, my priority was to learn about an aspect how geoscience affects groundwater resources. It’s hard to ignore Janet’s ‘roasted teeth’, caused by too much fluoride. She’s from Arusha in the north but has moved to central Tanzania, saving for her college tuition by managing a small guesthouse. Fluorosis is a serious condition, irreversibly damaging teeth and in extreme cases, the bones. It’s also a source of stigma and embarrassment, especially when moving to a part of the country where residents have whiter teeth. When Janet offers a smile, it’s restrained. 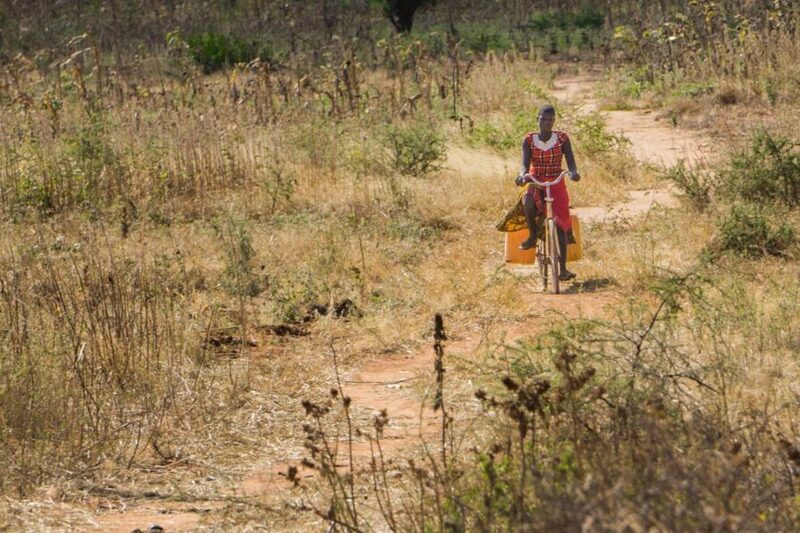 Groundwater is essential to Tanzania’s—and Sub-Saharan Africa’s—efforts to become more resilient to climate change and waterborne diseases, especially for residents of rural and arid areas. Many Tanzanians already source the majority of their household water from groundwater wells. But there’s a major problem. Many of these groundwater sources contain enough fluoride to causes fluorosis. And new groundwater projects are being restricted in their scope because of the risk of fluoride. The NGO WaterAid calls it Tanzania’s ‘most severe and widespread groundwater-quality problem’. A man scoops water from a hole dug into a dry river bed to fill the boy’s jerry cans. Surface water sources like these are unreliable in the dry seasons, are time-consuming to reach, and can cause water-borne illnesses if untreated. These are some of the reasons that groundwater is being pursued in Tanzania. However, surface water generally contains lower concentrations of fluoride, with some exceptions. Photo my own. Fluoride occurs in most natural waters but there’s a very narrow range that is helpful instead of harmful to humans and animals. 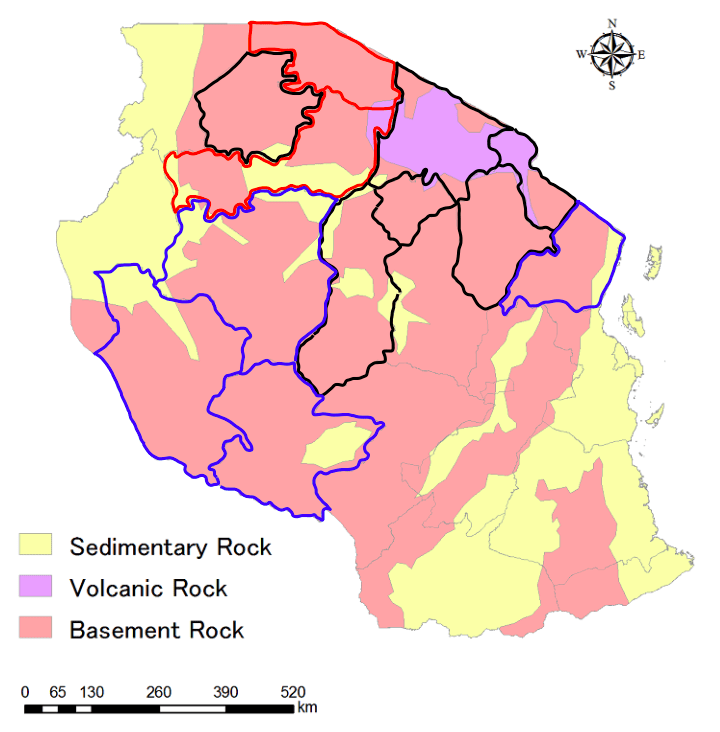 Different groups are trying to understand how helpful geology can be in addressing a problem that affects up to ten million Tanzanians—a third of the population. Regions in Tanzania affected by fluoride have some of the lowest levels of ‘improved’ (safe, year-round, within a kilometre) water access in the country. One factor is that great swathes of these regions are arid with pronounced rainy and dry seasons. Another is the hesitation by water planners and donors to risk their time, money and track record in these areas. The aquifers are already complex, and the possibility of fluoride is an additional deterrent. These days if a well yields water with fluoride exceeding the national guideline of 4 mg/L (ppm), it’s abandoned. A bit about guidelines and priorities. In response to water scarcity, Tanzania is compelled to compromise. In 2008 its national guideline was lowered from 8 mg/L to 4 mg/L but remains far higher than the WHO (World Health Organization) recommended 1.5 mg/L. Drinking water in excess of the WHO guideline can lead to fluorosis, especially in young children. Ergo even ‘compliant’ water can harm, and many communities drink water exceeding the national guideline anyways, resulting from a lack of choices, lack of monitoring and lack of fluorosis awareness. Categories of fluorosis based on chronic ingestion of water with different concentrations. Original source not found, but this table is commonly attributed to WHO, 1994. More information about drinking water guidelines can be found in this WHO report. The goal, then, is to ensure groundwater development avoids high fluoride water, while also limiting the areas excluded to those actually warranted. Fluoride distribution is variable, and there sometimes can be safe groundwater within an area that is generally high fluoride. 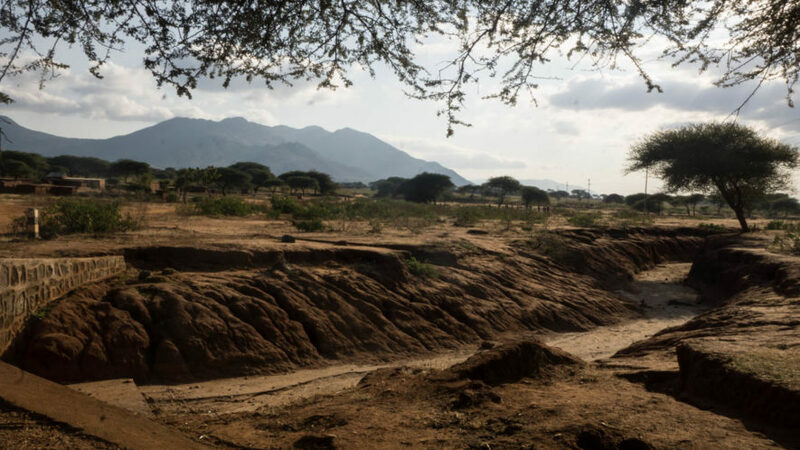 A bridge crosses over a dry riverbed in central Tanzania during the dry season. Photo my own. In 2002, the BGS (British Geological Survey) in conjunction with local organizations began to investigate the controls on fluoride in central Tanzania. Micas, apatite and fluorite seemed to be the primary mineral source of fluoride in the water. Fractured basement granite aquifers containing these minerals are widespread on Tanzania’s arid central plateau. The investigation was preliminary and highlighted problems that demanded further study. The relationship between fluoride concentrations and faults was unclear, and faults are a common target for groundwater wells, for the higher rates of flow they can offer. Significantly, deeper groundwater is expected to have more fluoride than shallow or surface sources, but that trend didn’t hold here. Certain dams, rivers, water wells and groundwater all contained excessive fluoride. This did not bode well for predicting its distribution based on depth. Map of Tanzania showing two types of information. First, simplified geology, showing the distribution of main rock types that groundwater wells would access. Second, fluoritic (high fluoride) regions in Tanzania. Black are the regions within the “Fluoride Belt,” the focus of defluoridation research efforts. Red regions are also known to commonly contain water sources that exceed the WHO guideline. Blue regions are also affected by fluoride but to a lesser extent. Basemap from this 2013 JICA report, high fluoride regions added by me. JICA (Japan International Cooperation Agency) currently develops groundwater in central and coastal Tanzania, and in 2013 their report was blunt: ‘There isn’t a difference in fluoride concentration according to geology’. Brutal! There’s some context. In the late 1990s, JICA reduced a rural groundwater project after investigation wells flowed water with excessive fluoride concentrations. JICA has continued to pursue groundwater, but now with a particular focus on mapping fluoride distribution. Their team suggests that fracturing connects different rock types and their aquifers in the area so much so that lithology is insufficient for predictions on the scale required. Even if rock types were reliable enough, the lithology indicated on base maps may not end up being representative of what’s drilled into for a deep (80 metres or more) well. 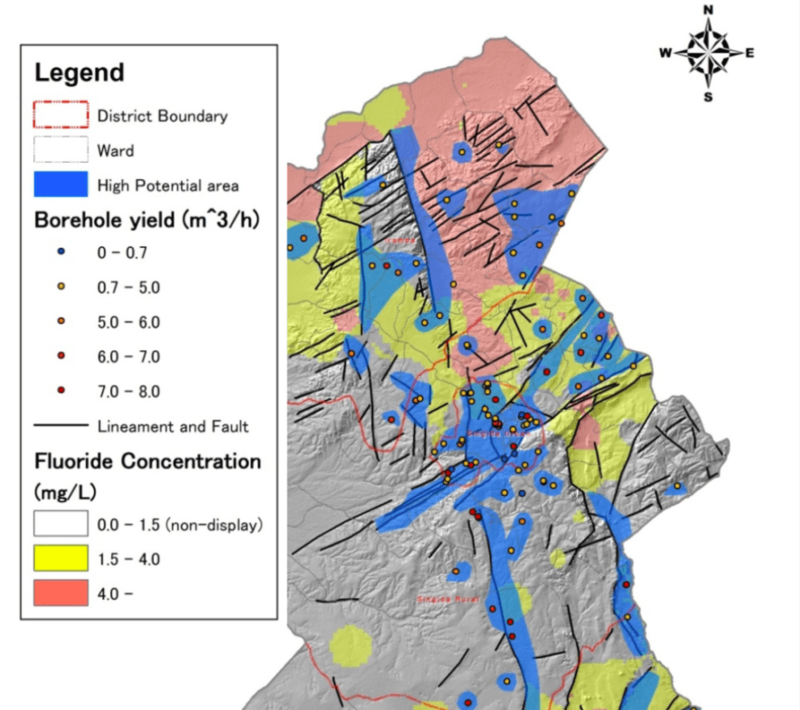 JICA proposes that topography might play a significant role in fluoride distribution, for its influence on the time groundwater resides in the host rock. In local and regional topographic lows, groundwater has more time to develop high fluoride concentrations from evapotranspiration and prolonged rock-water interactions. Understanding these controls are important, but don’t give enough resolution to decide where to drill. By far the most important part of JICA’s strategy is having an accurate database of fluoride measurements, with corresponding information on depth, the type of water source, and concentrations of other elements in the groundwater. A groundwater prospecting map for the northern portion of Singida Region, central Tanzania. Fluoride concentrations increase towards the Internal Drainage Basin in the north. Areas with different interpreted fluoride concentrations are interpolated between measurements from water sources of similar depth. Modified from this 2013 JICA report. It would be myopic to say that central Tanzania’s geology as it relates to fluoride is simple—much remains to be understood and the plateau suffers from less study and attention relative to the north. But in northern Tanzania, there’s a unique diversity. Granites take a backseat to volcanic rocks, intrusions and ashes rich in fluorine-bearing minerals. There are also geothermal fluids and alkaline (soda) lakes with extremely high fluoride levels. This region lies along an arm of the East African Rift Valley, an active continental rift. 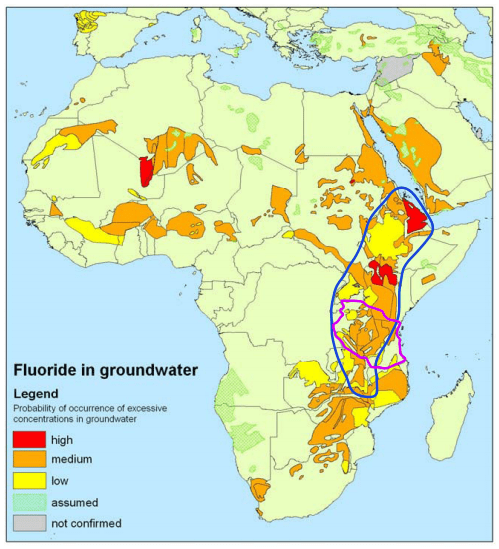 A probability map of Africa showing the likelihood of excessive fluoride in groundwater. In blue is the approximate outline of the East African Rift Valley, but keep in mind the valley has different arms. Tanzania is outlined in purple. Adapted from this 2004 report. Perhaps as evidence of its complexity, safe (low-fluoride) groundwater also occurs in the East African Rift Valley and researchers have sought it out in northern Tanzania. Their goal was to choose a well location based on lithology, the type of water coming from springs and groundwater, flow patterns in aquifers, fault and fracture patterns and the potential for an aquifer to flow, as interpreted from geophysical surveys. Ichnusa Well 1, intended to serve a community of Maasai pastoralists flowed water exceeding the WHO guideline but below the national guideline, and had less fluoride than many other sources in the area. Learning from these encouraging results is one of the goals of the ‘de-FLuoridation technologies for imprOving quality of WaTer and agRo-animal products along the East African Rift Valley in the context of aDaptation to climate change’ consortium. Or, FLOWERED. Yes, defluoridation: the other way to avoid fluoride. The FLOWERED consortium recently held their first international field trip and workshop in northern Tanzania. Photo taken from their website. Reporting from Arusha in the north, The Tanzania Daily News reported in March that ‘the local area has potential water resources but much of them have high fluoride content, making it difficult for the water authority to explore and drill new water wells to supply in the city’. Instead, Arusha focuses on defluoridation, which removes fluoride by chemical processes. Effectively predicting fluoride in complex groundwater aquifers has so far proven difficult. Why not just focus on improving defluoridation, a strategy that has been used for almost thirty years in Tanzania? Ministry of Water’s Ngurdoto Defluoridation Research Station focuses on improving and implementing the ‘bone char’ defluoridation method. A Tanzanian scientist is developing a different defluoridation technology, to acclaim. For its projects, JICA only recommends pursuing defluoridation when an alternative safe source of water has been sought, and not found. It’s not a matter of whether JICA or the Ministry of Water has found the better way. The search for safe water and defluoridation efforts are complementary. This integrated approach seems to be FLOWERED’s aim with their project goals including both ‘Advancing Hydrogeological Knowledge’ and developing ‘Innovative Defluoridation Technologies’. Where there’s no safe water available, defluoridation is the only option and is nothing new in Tanzania. There now are hundreds—it’s difficult to get a recent estimate—of bone char units installed throughout the country, customized to fit the needs of schools, households and the public. However, studying an area’s hydrologic, geologic and geochemical conditions can redefine what’s ‘available’ in an area— the Ichnusa Well 1 in northern Tanzania, and JICA’s fluoride maps that show the detailed distribution of fluoride concentrations are examples of this. Any safer groundwater identified reduces the burden on defluoridation efforts, which face many obstacles to their widespread success. For a defluoridation program to work it must plan for the population, expected water use, cost, and availability of materials to remove the fluoride from the water. Knowledgeable and dedicated caretakers within the community are required. So is regular testing to ensure that the bone char (culturally agreeable animal bones, cooked in a kiln and ground up) is still doing its job. The materials required depend on the concentration of fluoride, which can change over time. A public water point in central Tanzania. Is it safe, and does the community know whether it is safe? Photo my own. No matter the strategy pursued in a given area, there are many stakeholders involved who need to access and share information. On this front there are several resources for those with computer and internet access, including the Africa Groundwater Atlas and these water quality factsheets for Tanzania and other countries. Tanzania’s Water Point Mapping initiative has resulted in a searchable map that be explored here, and their efforts to make a National fluoride database are ongoing. For residents, there is no replacement for in-person education. The Ngurdoto Defluoridation Research Station aims to one day have fluorosis included in primary school curricula, and JICA includes community training in its objectives. Ultimately, this is about equipping residents with the knowledge and resources to address fluoride, a preventable issue that affects both water access and health. Here is an intense anecdote about fluoride’s social consequences from a BGS report. 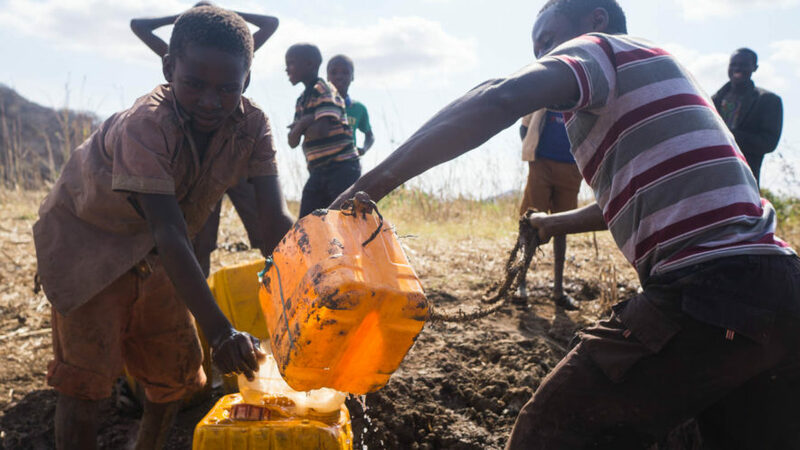 A community in central Tanzania had received a new water source closer to home that contained problematic fluoride. Over time, dental fluorosis developed among the community’s children. Instead of attributing it to water quality, women were accused of infidelity. It was thought that they were being unfaithful with men from another village that were known to have ‘roasted teeth’. I'll never spam you. Thanks for your interest!